Tooth extraction is a dental treatment procedure where the dentist pulls out the entire tooth up to and including the root. Tooth extraction is usually recommended for a variety of dental complications especially those that affect the tooth directly. 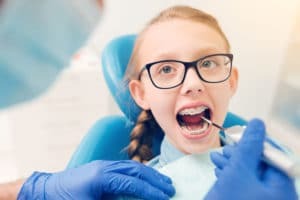 Any ordinary dentist can perform tooth extraction Los Angeles However, in some cases, an oral surgeon may be requested to perform surgical tooth extraction. Here are some of the most common reasons for tooth extraction in oral dentistry. Decayed or infected teeth can be very traumatizing mostly because they portray a bad image. In worse cases, the decayed teeth may be causing bad breath due to food particles deposited on the teeth. The recommended treatment for extensive tooth decay by Los Angeles Oral Surgeons is tooth extraction. Tooth extraction Los Angeles will help prevent further spread of the tooth infection to adjacent teeth. By removing the tooth entirely, you don’t have to worry about tooth decay anymore and similarly, your breath won’t stink anymore. Tooth extraction is very convenient for decayed and infected teeth. Wisdom teeth are molars that grow at the back of the dental structure. They tend to take up a lot of space since they are large and broad. In some cases, their size may not be accounted for within the dental structure making them squeeze adjacent teeth as they grow. This may cause the teeth to crowd due to lack of sufficient space. In such a case, tooth extraction is recommended. The best dental professional for wisdom teeth removal is an oral surgeon. This is because the wisdom tooth may be hard to reach and remove for ordinary dentists. Impacted teeth are wisdom teeth that grow only halfway out of the gum. This makes them dysfunctional and pretty much purposeless in chewing. Impacted teeth can sometimes be painful when touched causing the patient to be irritable and uncomfortable. The best dental solution for impacted teeth is surgical tooth extraction. An oral surgeon is certified to perform this procedure due to the intensive processes it entails. During the procedure, the surgeon has to cut out the surrounding gum to access the tooth. If the tooth is still firm, the oral surgeon may have to cut out the surrounding bone for the tooth to become loose and easily removed. The procedure is done under local anesthesia meaning there won’t be any discomfort or pain during treatment. Some forms of dental implant surgery involve replacing an entire set of teeth. A good example of this is All on 4 treatment. Since the dental treatment incorporates a whole set of teeth, the oral surgeon may have to extract available teeth for the implant to be effective. What’s more, the extracted tooth will be replaced by a stronger and better dental implant. Crowded teeth usually occur when the teeth exceed the space allocated for them on the dental structure. This, in turn, causes the teeth to be extremely close to each other and sometimes slightly overlap. Tooth extraction Los Angeles is recommended for crowded teeth. This will help to return the teeth to their regular position and reduce the possibility of later dental complications.